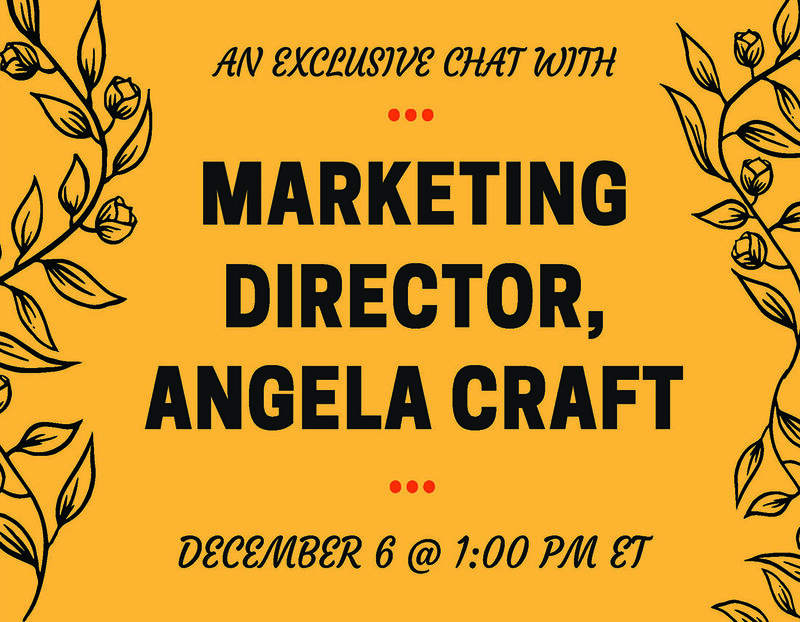 Join us on Thursday, December 6th at 1:00 pm ET for an exclusive chat with Marketing Director, Angela Craft! The chat will be viewable in real-time on YouTube. Questions can be submitted on the YouTube video page.